The US Embassy in Tel Aviv has clarified that President Donald Trump’s travel ban will largely not affect the tens of thousands of Israeli Jews born in Middle Eastern countries. A Tuesday statement said the controversial executive order would not be enforced against Israelis from those countries unless they possess a valid passport from one of the seven Arab countries banned under the directive. “If you have a currently valid US visa in your Israeli passport and were born in Iraq, Iran, Libya, Somalia, Sudan, Syria, or Yemen, and do not have a valid passport from one of these countries, your visa was not cancelled and remains valid,” the statement said. Regarding those Israelis born in the seven countries who do have a valid passport from one of those countries, the embassy did not have definitive information, but seemed to indicate this would be handled on a case-by-case basis. “Authorization to enter the United States is always determined at the port of entry,” it said in the statement. The embassy also offered reassurances that visa applications by Israelis would not be affected by the travel ban. The executive order signed by Trump on Friday barred nationals of seven mainly Muslim countries for 90 days from the United States but has sparked confusion in its interpretation, with people unsure whether they can travel. Israel is home to around 140,000 people born in the seven countries covered by the Trump order, including around 45,000 Iranians and 53,000 Iraqis, according to official statistics. The majority are over the age of 65 and many fled persecution. 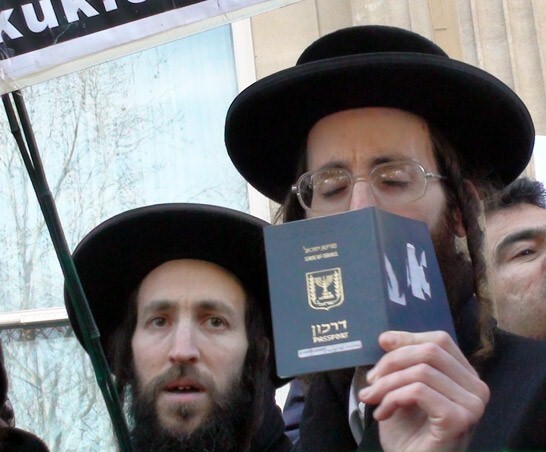 Their Israeli passports say where they were born, but most do not retain citizenship in their birth country. Israel has no diplomatic relations with any of the seven countries. On Sunday, Foreign Ministry spokesman Emmanuel Nahshon told AFP that Israeli authorities were seeking clarification from the US State Department whether the ban included Israeli Jews. Trump’s order was met with with near-immediate condemnation from world leaders across the globe, with presidents, prime ministers and senior government members from the UK, France, Germany, Canada, Turkey, Iran and a host of other countries panning the initiative.